With a top-ranking position among the European States, Italy is at the forefront for energy produced by renewable sources and solar power in particular. Fully embracing the spirit of EU legislation on Energy and Climate Package, the Country has already surpassed – three years ahead of its original 2020 target – the goal of 17% renewables share in the power generation mix. In this fast-expanding energy market, which offers large room of actions for many energy companies and investors, EF Solare Italia takes the leadership into shaping the development and the consolidation of the Italian solar industry. Equally owned by Enel Green Power and the F2i Infrastructure Fund, the company boasts a growing portfolio of 360 MW photovoltaic power plants converting Italy’s warm climate into clean energy, with the aim to reach 1 GW of installed capacity in the next five years. 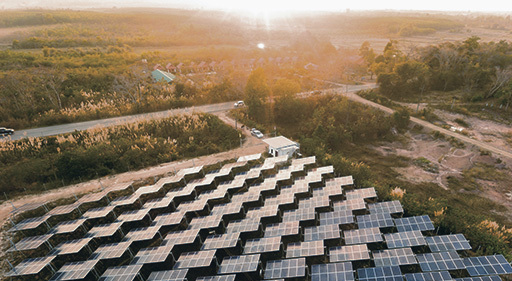 Facing the challenge to efficiently operate and maximize the value of all the assets dislocated across different regions, EF Solare Italia has chosen BaxEnergy’s innovative solution Energy Studio Pro® as the best-in-class centralized platform for independent and secure data acquisition, storage and analysis. “The idea behind the choice is to get a reliable and complete monitoring system, easy to customize and able to promptly answer and grow with our evolving needs. We found these key requirements in the solution offered by BaxEnergy, internationally acknowledged company with a fully Italian know-how”, explains Mr. Simone Sammartino, Responsible for Technical Due Diligence & Post Merger Integration at EF Solare Italia. “We are more than honored that the Italian biggest PV operator has entrusted us for such important project that foresees in the upcoming months the integration of company’s entire portfolio into a dedicated local control room, equipped with the latest advanced technologies that will respond to customer’s high requirements”, proudly affirms Mr. Luciano Russo, BaxEnergy Commercial Director of Enterprise Business Unit, who concludes saying: “Energy Studio Pro® offers many sophisticated modules such as the Reporting System and the Workflow Studio that will make our customer successful in dealing with daily challenges, saving valuable time for O&M Technicians in performing real-time and historical data analysis, while supporting the Asset Managers in taking faster and accurate decisions, transforming potential issues into great achievements”.